Step off the beaten path and head to El Tajo and Pileta Caves (Cueva de la Pileta). There's much more to do: make a trip to Plaza de Toros, skim along the rocks with a canyoning and rapelling tour, savor the flavors at Descalzos Viejos S.L., and wander the streets of Old City. 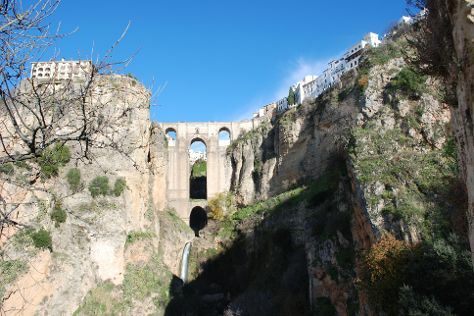 To see where to stay, traveler tips, other places to visit, and other tourist information, read Ronda vacation builder. Newark, USA to Ronda is an approximately 18-hour flight. Traveling from Newark to Ronda, you'll lose 6 hours due to the time zone difference. While traveling from Newark, expect somewhat warmer days and about the same nights in Ronda, ranging from highs of 95°F to lows of 66°F. Finish your sightseeing early on the 1st (Tue) to allow enough time to drive to Tarifa. Start off your visit on the 2nd (Wed): enjoy the sand and surf at Playa de Zahara de los Atunes and then enjoy the sand and surf at Playa Bolonia. Get ready for a full day of sightseeing on the next day: kick back and relax at Los Lances Beach and then enjoy the sand and surf at Playa de Valdevaqueros. To see other places to visit, photos, ratings, and other tourist information, read our Tarifa trip planner. Traveling by car from Ronda to Tarifa takes 2 hours. Alternatively, you can do a combination of train and bus; or take a bus. Traveling from Ronda in August, you will find days in Tarifa are little chillier (82°F), and nights are about the same (70°F). 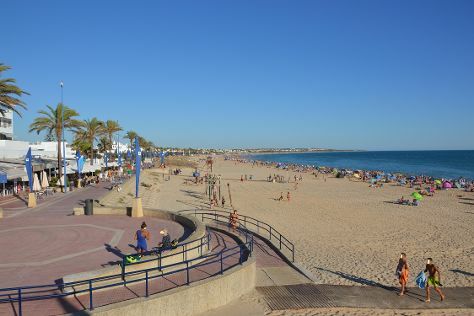 Cap off your sightseeing on the 3rd (Thu) early enough to go by car to Chiclana de la Frontera. Chiclana de la Frontera is a town and municipality in southwestern Spain, in the province of Cádiz, Andalusia, near the Gulf of Cádiz. Start off your visit on the 4th (Fri): enjoy the sand and surf at Playa El Palmar, enjoy the sand and surf at La Barrosa, and then take in the exciting artwork at Ceramica Creativa GresSierra. To see other places to visit, reviews, ratings, and other tourist information, read our Chiclana de la Frontera vacation planner. You can drive from Tarifa to Chiclana de la Frontera in 1.5 hours. Another option is to take a bus. In August, daytime highs in Chiclana de la Frontera are 85°F, while nighttime lows are 69°F. Finish up your sightseeing early on the 5th (Sat) so you can go by car to Seville. Discover out-of-the-way places like Food Tours and Triana. Pack the 7th (Mon) with family-friendly diversions at Parque Isla Magica. 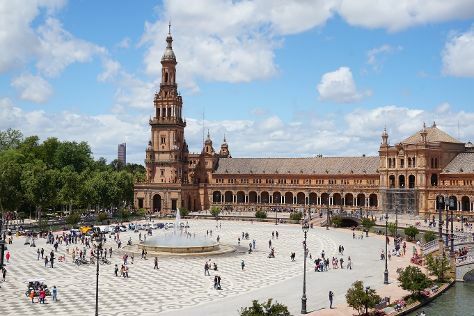 And it doesn't end there: explore the historical opulence of Royal Alcázar of Seville, appreciate the history behind Torre Giralda, admire the landmark architecture of Plaza de Espana, and contemplate in the serene atmosphere at Seville Cathedral (Catedral de Sevilla). To see ratings, where to stay, photos, and other tourist information, you can read our Seville trip itinerary maker. Traveling by car from Chiclana de la Frontera to Seville takes 1.5 hours. Alternatively, you can take a bus; or do a combination of bus and train. August in Seville sees daily highs of 90°F and lows of 67°F at night. Finish your sightseeing early on the 8th (Tue) to allow enough time to take a train to Cordoba. 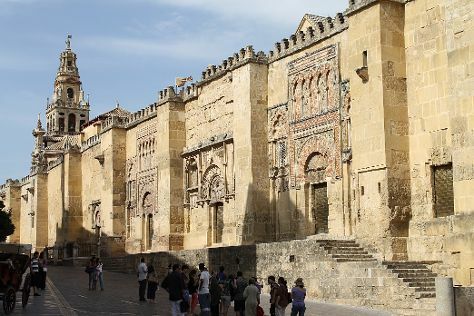 Discover out-of-the-way places like Historic Centre of Cordoba and Archaeological Ensemble of Madinat Al-Zahra. Step out of Cordoba with an excursion to Aquasierra in Villafranca De Cordoba--about 32 minutes away. The adventure continues: make a trip to Patios de Cordoba, get to know the fascinating history of Calleja de las Flores, take an in-depth tour of Palacio de Viana, and look for gifts at Meryan - Cordovan Leather. To see reviews, maps, ratings, and more tourist information, read our Cordoba travel planner. Getting from Seville to Cordoba by train takes about an hour. Other options: drive; or take a bus. Expect somewhat warmer weather when traveling from Seville in August: highs in Cordoba hover around 98°F, while lows dip to 68°F. Finish up your sightseeing early on the 10th (Thu) so you can catch the train to Benalmadena. 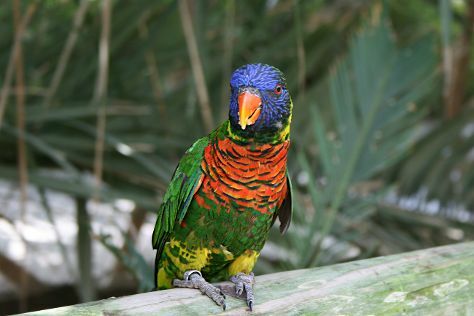 On the 11th (Fri), admire nature's wide array of creatures at Bioparc Fuengirola, look for all kinds of wild species at Crocodile Park, and then wander the streets of La Carihuela. Get ready for a full day of sightseeing on the next day: see the interesting displays at Museo Automovilistico, then step into the grandiose world of Castillo de Gibralfaro, then wander the streets of Los Boliches, and finally wander the streets of Benalmadena Pueblo (The Old Village). For ratings, photos, traveler tips, and other tourist information, you can read our Benalmadena itinerary maker. You can take a train from Cordoba to Benalmadena in 2 hours. Other options are to drive; or take a bus. Traveling from Cordoba in August, expect nights in Benalmadena to be about the same, around 71°F, while days are slightly colder, around 88°F. Wrap up your sightseeing by early afternoon on the 13th (Sun) to allow enough time to travel back home.